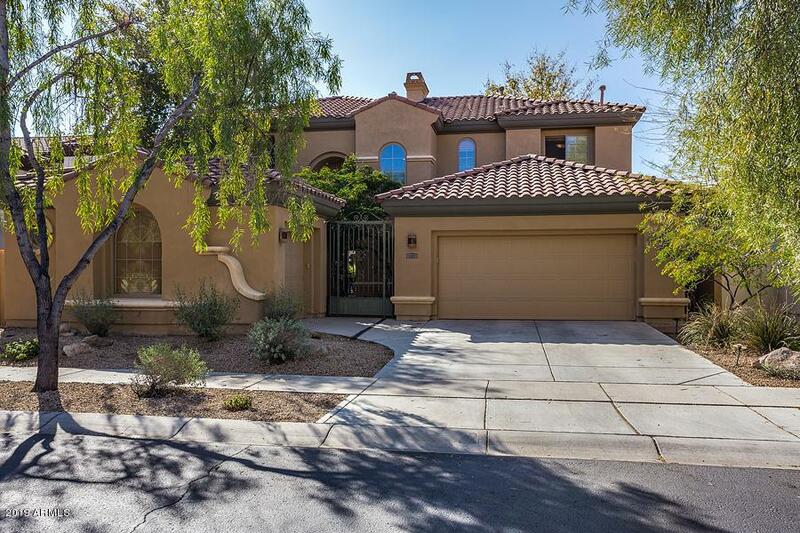 This exceptional family home, located in the beautiful Sonoran Foothills community in the North Valley includes a gated front court yard as well as a gorgeous back yard with grass, trees and space for dining and conversation areas. 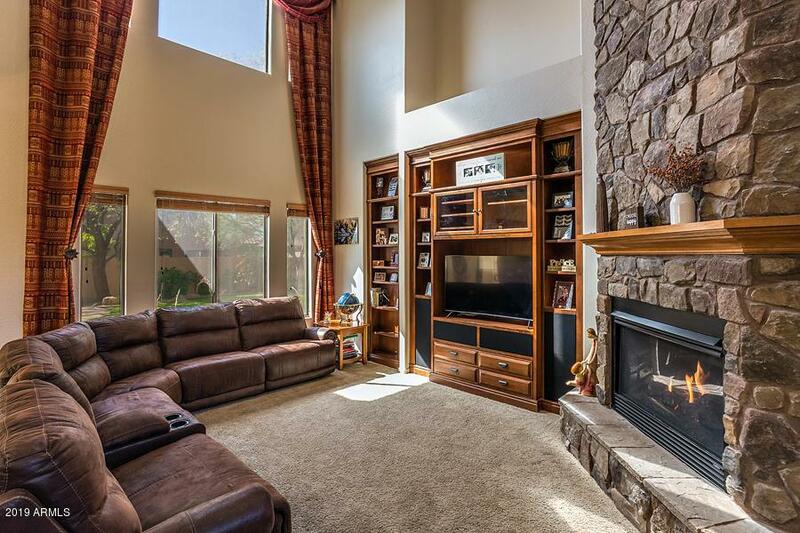 An amazing floorplan reveals two story high ceilings in the great room, a floor to ceiling rock gas fireplace, rich wood built-in, numerous windows, formal dining space, eat in kitchen, raised breakfast bar and curved stairs to second story. 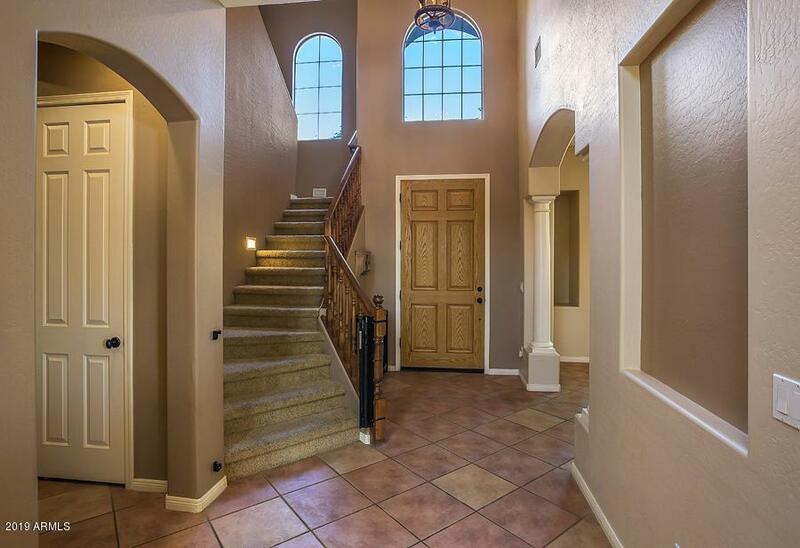 First floor Master Suite includes a unique circular staircase to a spacious loft/office space above. Large secondary bedrooms are impressive. 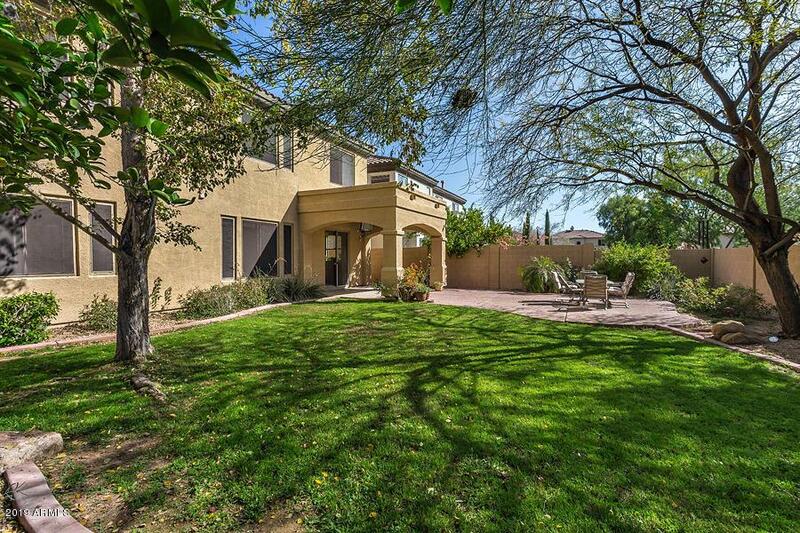 This charming gated neighborhood is close to high rated schools and a short walk to Sonoran Foothills pool, splash pad and parks/picnic areas.